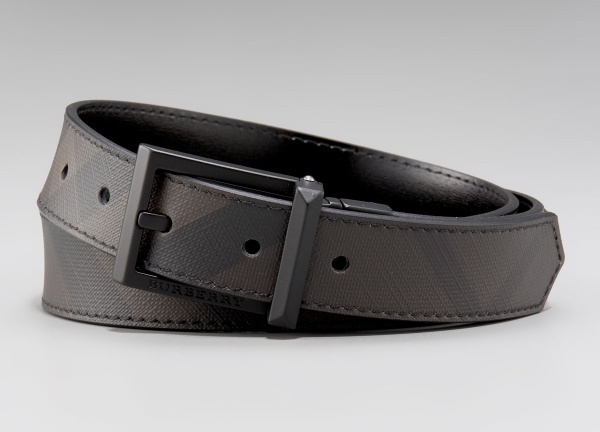 Burberry crafts a lovely brown check belt, a slick dark colored number. Leather is printed with the Burberry haymarket check in a very large pattern, creating a beautiful, new look. Paired with a dark grey metal buckle, this is a wonderful choice in any season. Available online now.